When Was the Debt Ceiling Created? Recent headlines have sparked renewed interest in the debt ceiling as Congress debates whether or not to increase the limit on federal borrowing. Less discussion, however, has focused on the debt ceiling's political life. The Washington Post reports that the debt ceiling has long history owing in large part due to costs associated with national security. 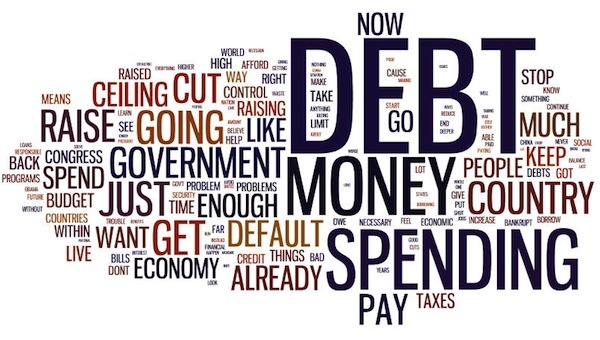 Why does the debt ceiling exist? The federal ceiling initially allowed Congress to get around issuing limits on specific bonds to rein in the uncertain cost of war. Prior to establishing an aggregate limit on debt, Congress approved borrowing on a case by case basis. The Secretary of the Treasury was able to issue limited debt starting with the Spanish-American War of 1898. As war continued to place greater demands on the national economy, the debt ceiling became a way for Congress spend money more easily. Congress put into law the First Liberty Loan Act of 1917 and the Second Liberty Bond Act of 1917 in anticipation of the costs of World War I. What was initially a $5 billion limit on new bonds quickly turned into a $9.5 billion ceiling. Congress did not create a general limit on all federal debt until 1939, just before World War II. The debt ceiling became a politically contentious issue in 1953 in light of Senate allegations that it was a tool to grant the executive branch greater control over the economy. The federal debt controversy placed Senator Harry F. Byrd of Virginia in direct opposition to President Dwight D. Eisenhower. While Byrd was a vocal opponent of the growing national debt, Eisenhower was at that time interested in putting more money into improving the nation's highways. Byrd, who became the chair of the Senate Finance Committee in 1954, pushed for greater budget cuts to offset further spending, but Eisenhower was eventually successful in raising the debt ceiling that year. The question of the debt limit continues to incite political debate. The Post's brief survey of the debt ceiling's history tells us that the current controversy is part of a decades-long history of trying to make Congress' job easier while also placing limits on federal borrowing.